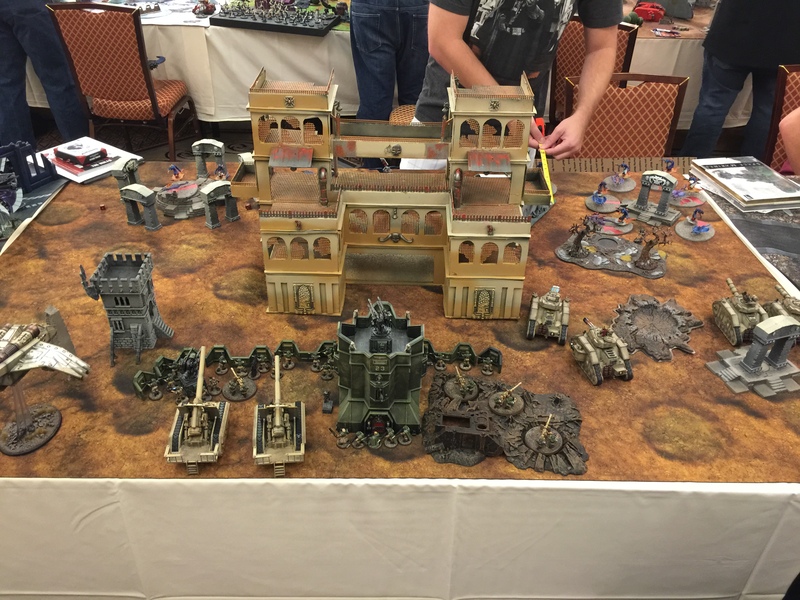 Las Vegas Open (LVO) Friendly Tournament | 30mm Madness! I finally went to my first ‘national’ level tournament. I only played 3 of the 4 games in the friendly tournament (the blending class overlapped game 3). Of the 3 games I played, I went 0/3! I played Eldar twice and Chaos Demons once. I couldn’t get past the Jink Saves. Chaos can re-roll ones, and the Jink save was a 3up (night fight) and then a 4up… So each wound only had a 33% chance of landing, and each Chariot is both a armor 12 vehicle AND a multi-would model. Without ignore cover, I just couldn’t land any significant wounds. Super fun game. Noah is super cool, we we’re having beers, joking around, and had a great game. 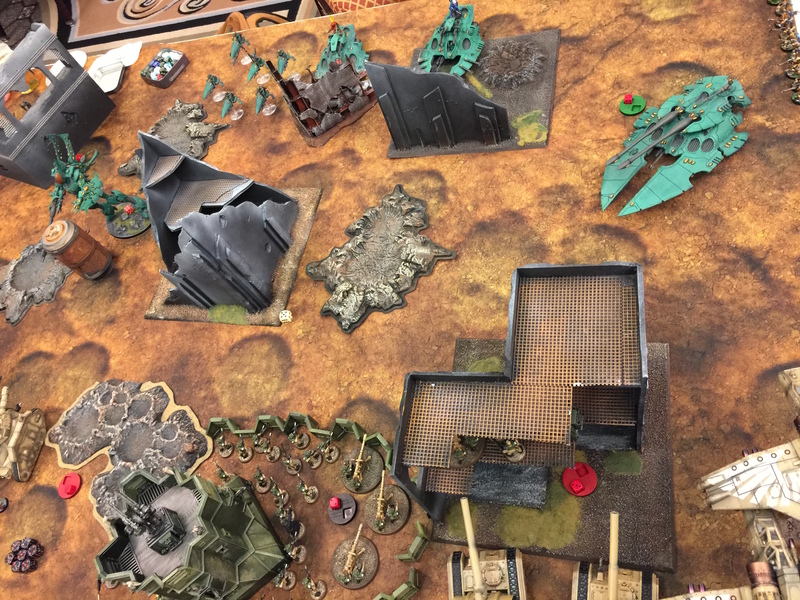 While I lost, I (barely) took out the Scorpion, and I ALMOST took out the Wraight Knight (got him down to 1 wound) right before the knight laid the assault beat down on my plasma-cutioner and punisher Leman Russ squadron. I couldn’t get past any saves. I think I removed maybe 3 wraithguard and 2 jetbikes by the bottom of turn 4. I still learned a lot… I definitely have to tweak my list! Competitive W40K comes completely down to ‘dice management.’ Minimizing the incoming dice is the primary tactic I didn’t have a good answer to.Especially games 1 (Chaos demons Jinking like crazy) and 4 (Eldar with 3+ armor & invulnerable saves). Even though I was throwing a high volume of attacks/hits/wounds out with my gun line, all of those wounds were ignored one way or another (Jinks, cover saves, armor saves, invulnerable saves, many with re-rolls). These lists are all about ‘mitigating’ incoming dice. I don’t really enjoy games where my opponent is so effective at mitigating almost all of my dice… so I need to either build answers to this into my list or stop playing and just go 100% hobby. And my ‘Dwarf Face’ from the faces and eyes class. Lyn from metalhead minis, thanks for a great class, I learned a ton! 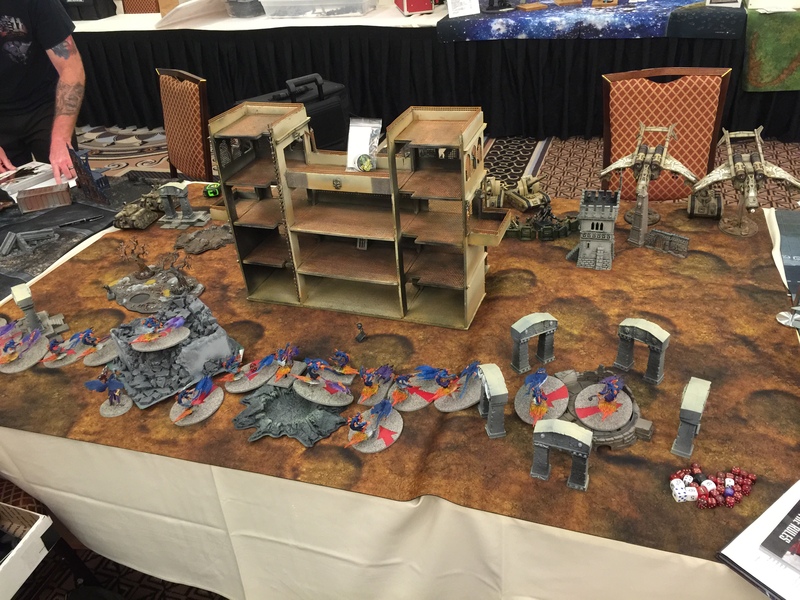 All in all, LVO was great fun. It’s a well run tournament in a great location. I hope to go again next year. This entry was posted on February 23, 2015 by justinhardin. It was filed under Battle Reports, Warhammer 40K . I think there were a few of us that made lists a little ‘harder’ than they should have been. perhaps they should have defined friendly a little better. in my opinion, I knew there would be lords of war and super-heavies so I had to prepare for that. in which case, it made the opponents without them a bit softer. originally, I think that there was supposed to be a ‘team’ type event. it read as if there was to be imperial, chaos, and xenos. for those of us that prepared for such an event, it left others with a more flexible, yet perhaps underpowered army. I had fun, but would totally adjust the army I took if I knew it was this format. I cant blame the guy that ran it (Darren? ), as it was kinda dumped in his lap just before start time. I do wish to express that if they are going to have a friendly, or any other event at a tourney that a little more thought and prep go into it. in my opinion, the championships were a big bite, and the other events suffered a little. 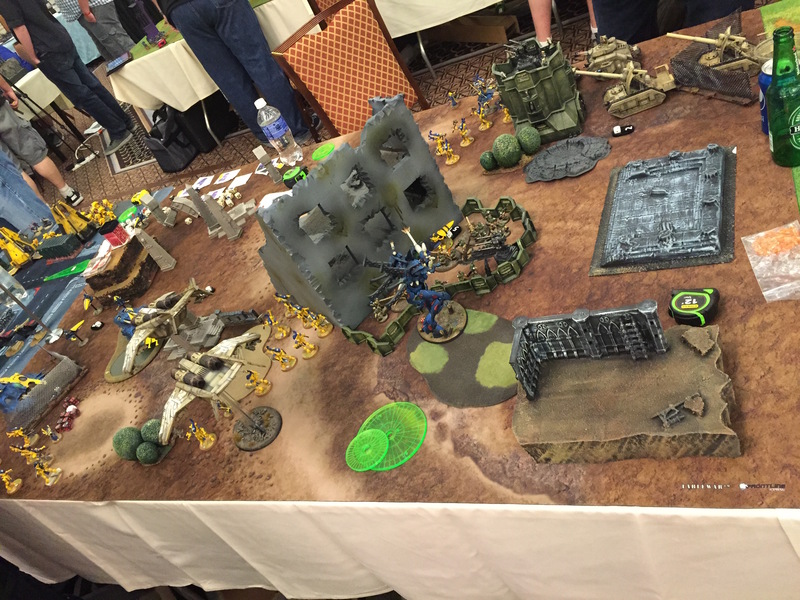 I still had a great time, people had great armies, but no ‘one sided’ games are fun. a good hard fought battle is always more enjoyable. Heya Shaun! I know our battle was one sided, but I still had fun. It was the first game I had played in over a year and you were patient with me… so it was a good time! It is one of those quirky rules of 7th. Hey Shaun, we do not play that passengers have to snap fire. I looked on the faq council but couldn’t find anything addressing a jinking vehicle affecting passengers. Been searching for friendly posts! I know people took tons of video and photos, but I haven’t been able to find much (adding the words las vegas into any search just compounds the issue). I agree that the friendly suffered a bit due to the GT, but I still had a mega blast. I believe one fellow said it best. Friendly was like playing the most competitive lists at your local store. They were still hard, but not GT hard. I don’t know what the qualifications were for passing a friendly list…but to give you an idea (I was the rusty ork walker guy! ), my original walker list had the custom stompa with some CRAAAZY dakka weapons that they approved. I decided to change it to a codex stompa closer to the date because I felt the original was a bit ridiculous. (it was something like 15d6 shots a turn). I was hoping for a “n00b league” where I could show up with a poor grasp of 7E rules and not get rage from my opponents. The tournament definitely delivered on that. My second game in particular we didn’t even end up running Maelstrom as designed, we just drank beer, goofed, and dakka-dakka’d. PERFECT. I’d be curious to know the motivations of the other “friendly” players… Why the friendlies and not the GT? My particular modification came from NOVA, which was my first ever 40k experience. I watched the GT players get strung out and utterly exhausted from trying to fit in roughly 8 games in a three day period. I didn’t want to strain myself like that, so a nice 2 games a day seemed wayyyy more relaxed to me. 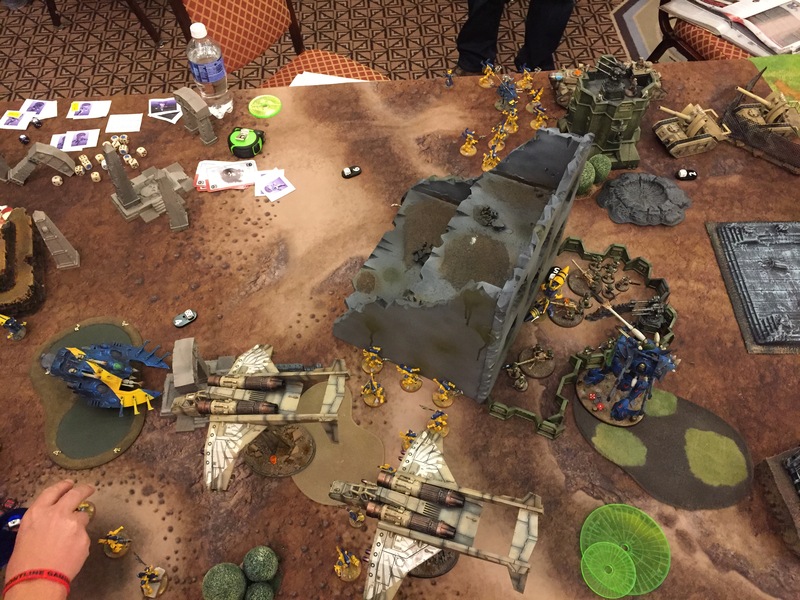 That and I wanted to play with ork walkers…and ork walkers are not resilient at all when it comes to a competitive GT, so friendly was perfect for me. At Nova this year I’m in the narrative, and possibly the trios (I have the ticket just haven’t gotten all the players yet), which is a more relaxed style of play as well. I really had a blast at friendly, I hope that style of event pops up more and more!